Age: 73, although because of biking I am probably younger than I was when I was 60. Bike: Trek Verve 2 and a Brompton folding bike for traveling. I always like to have a purpose or destination for biking and I enjoy riding on the level more than hills. I most frequently ride north from town and frequently will go shopping to Fred Meyer or Costco by bike. 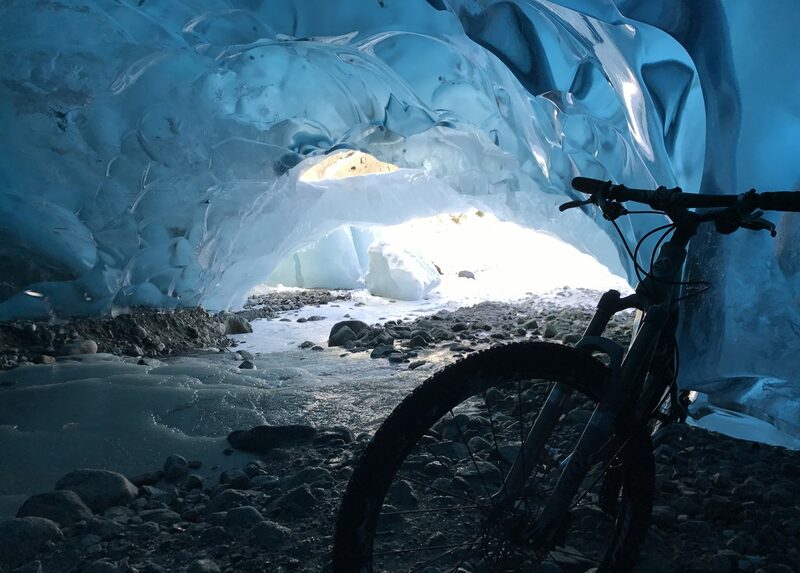 Another great destination is to Heritage Cafe in the Valley for breakfast or lunch and combine that with a trip to the glacier and/or the Brotherhood Bridge Trail. I regularly ride 50-100 miles/week in good weather. In the last eight days I rode 125 miles. When we travel, we enjoy getting a vacation rental and spending our days biking. We’ve been to San Diego, Los Angeles, Portland (Oregon), and Minneapolis. My favorites were LA and Minneapolis. LA has 20 miles of paved bike trails on the ocean and dedicated bike lanes on streets. Minneapolis also has dedicated bike lanes and a chain of five lakes downtown surrounded by paved bike trails. The word that encapsulates biking for me is “joy” because I so often realize that I am smiling as I ride. What I love about biking is that I get a cardio workout without punishing my joints and without it seeming like work. It is much faster getting around downtown by bike than by car. I did not start bike riding until I was 60 so I can still remember what it was like to be a beginning biker. My advice for beginners is to have the seat low enough to feel confident about not falling. When I started, I wanted to know that I could firmly plant both feet on the ground if necessary. My other advice is to have a rear view mirror, either on the handlebar or helmet. It gives you much more confidence if you know when there are cars or other bikers about to pass you. Bike: Trek mountain and road bikes. “Magic”, because you can quickly and easily go a distance. Ride carefully and look both ways! Next PostNext What should I carry with me when I go for a ride?